Cannoli filling is an Italian dessert cream traditionally made with ricotta cheese, heavy cream and sugar. It should be stiff enough to be piped or spooned into cannoli shells. If it is too runny, there are different ways of thickening it depending on how soon it is required. Place the ricotta cheese in a cheesecloth and squeeze out as much liquid as possible. Add the squeezed ricotta cheese to the runny cannoli filling. Add some superfine sugar to taste. The cannoli filling should now be less runny and easier to spoon into the cannoli shells. Blend a small amount of finely powdered almonds into the runny cannoli filling. Add more powdered almonds until the filling is of the consistency required. Add superfine sugar to taste. The filling will now be stiffer and can be used immediately. Add a small amount of dessicated coconut to the cannoli mixture. Add more dessicated coconut until the filling is stiff enough to be spooned into the cannoli shells. Check to see if filling is sweet enough for your taste. If the dessicated coconut is already sweet, you may not require to add any more sugar. Prepare the gelatin as directed by the instructions on its package. Blend the liquid gelatin into the cannoli filling. Place the cannoli filling in the refrigerator to set. When it is ready, spoon the filling into the cannoli shells and serve immediately. 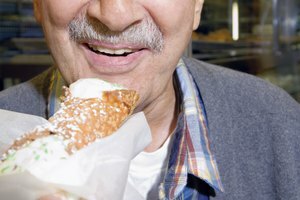 Cannoli shells should be filled just before serving as they tend to get soggy if prepared too far in advance. 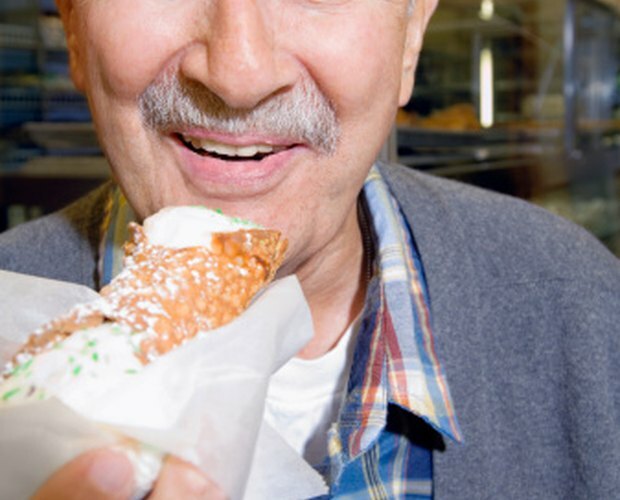 In warm weather, keep the filled cannoli shells refrigerated if using gelatin to thicken the cannoli filling. 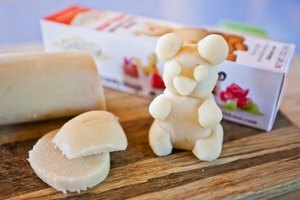 The gelatin component of the filling will melt if left in a warm place. Kal Kastellan has been writing professionally since 1992. His science, Internet technology and lifestyle articles have been published in British and Indian broadsheets including "Telegraph" and "Times," as well as a number of regional magazines. He studied both physics and physiology and later post-graduate psychology before embarking upon a career in Web marketing and publishing.